During the Winter months our favorite comfort food is any type of pasta. Riley has always loved pasta, but it can get boring after a while. 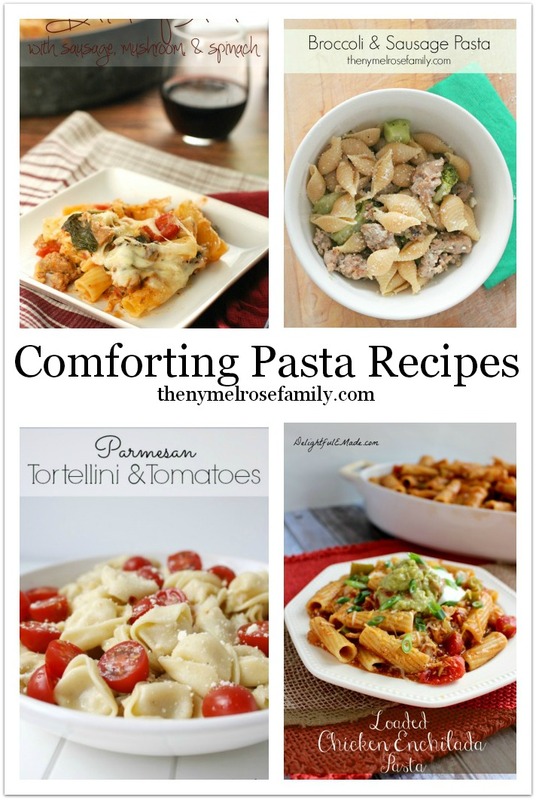 Luckily, I found ten comforting pasta recipes that will help mix it up a bit to get us through the rest of the Winter. Thanks so much for including my lasagna roll ups – I promise, if I can make them… anyone can!! MMMmmm, I’m hungry already and it’s only 9 am, lol. Thanks for the inspiration, Jenny! Happy Valentine’s Day. Um, yeah, these look amazing. Pinning! They all look delicious and easy to prepare too. Yum!